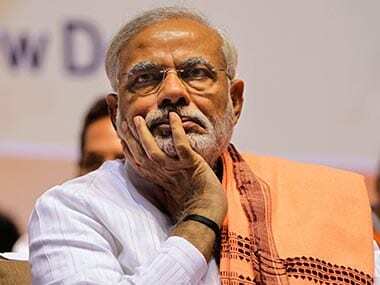 New Delhi: Some Opposition parties led by the Congress on Sunday hit back at Prime Minister Narendra Modi for his attack on their unity efforts, and said they, unlike the ruling coalition, stood united and would defeat the BJP in the 2019 parliamentary election. 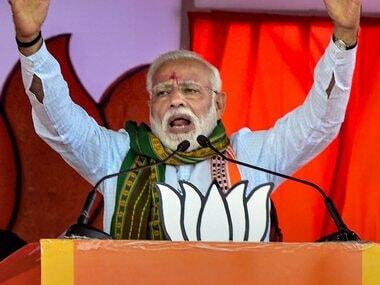 The Congress, Left parties and others attacked the prime minister, saying he is speaking out of 'nervousness' and that it is the NDA which is crumbling and not the Opposition which stands together. The remarks came after Modi, in interviews to some media organisations, said that the Opposition unity is for 'personal survival and not ideological support' and for 'personal ambitions' instead of people's aspirations. Modi also said that 'Mahagathbandhan' is about dynasties and not about development and is purely about power politics rather than people's mandate and it is to be seen whether it breaks before elections or after it. "The prime minister's statement on breakdown of Opposition unity is like 'Mungerilal ke Haseen Sapne' (day-dreaming). The truth is that the entire country has got united against an autocratic and anarchist prime minister," Congress chief spokesperson Randeep Surjewala said. "If a coalition has already crumbled, it is the NDA and not the UPA. 'The House of Cards' is waiting to come down in 2019," he said. 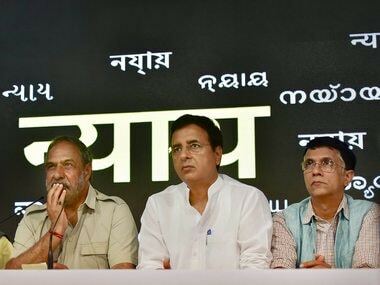 Surjewala said,"It is no wonder the BJP's allies such as the Shiv Sena and the Telugu Desam Party (TDP) have already dumped him and the Shiromani Akali Dal (SAD) are making disparaging noises. To soothe the ruffled feathers of Nitish Kumar, they had to backtrack and yield to the Janata Dal (United) (JDU) the post of Rajya Sabha deputy chairman, he said. 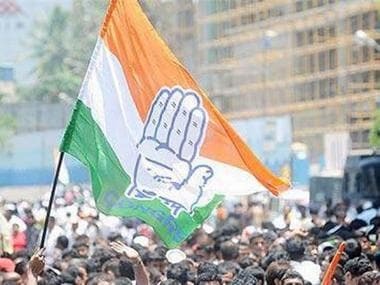 NCP leader Tariq Anwar said the Opposition unity would be consolidated further, and that it stands united in its endeavour to defeat the Bharatiya Janata Party (BJPI in the next Lok Sabha election. Asked about the election to the post of Rajya Sabha deputy chairman, where the Opposition candidate lost and the Opposition was seen divided, he said, "It will certainly help the opposition to consolidate itself." "It is no setback. Rather this will benefit the Opposition consolidate its unity. A lot of things got clear in this election as those who claimed to form a national federal front stood exposed that they are actually with the BJP, which sponsored the idea. "This exposed parties such as the BJD and the TRS. It is good for the Opposition that it no longer can have faith in those who can ditch," Anwar said. The Biju Janata Dal (BJD) and the Telangana Rashtra Samithi (TRS) voted for the NDA nominee for the Rajya Sabha deputy chairman post. CPI's D Raja said that the Opposition unity is very much intact and it is the NDA which is crumbling and falling apart. "They are desperate to keep their own allies together and they are pondering whether the NDA can remain together or not," he said. "The Opposition unity is intact and in the coming days it will consolidate further, and cohesive and coordinated action will be undertaken in this regard," he said. Raja also said that had there been secret voting in the Rajya Sabha deputy chairman's election, the result would have been different, as even those parties that supported the NDA nominee would have voted for the Opposition. Another Opposition leader said the opposition unity is intact, but admitted that the government 'outsmarted the Opposition in the Rajya Sabha deputy chairman's election by announcing it suddenly, taking them by surprise. 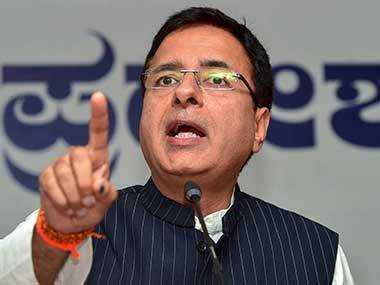 Surjewala said the prime minister is 'nervous'. "The prime minister's original slogan of 'zero tolerance towards corruption' has now become 'zero tolerance for those raising issues of corruption...Why has he not ordered an inquiry into the appearance of his name in the 'Birla Diaries' and why is he hiding behind a court order? Why no inquiry into the Rs 20,000-crore Gujarat State Petroleum Corporation (GSPC) scam that happened during his rule and why was Oil and Natural Gas Corporation (ONGC) forced to buy the 'dead GSPC' out of public money?" he asked. The Congress leader also asked why the prime minister has not spoken on the alleged Rs 48,000-crore Rafale scam on the purchase of fighter jets, and the Rs 36,000-crore PDS scam in Chhattisgarh. Surjewala also questioned Modi's silence on cases involving Vijay Mallya, Lalit Modi, Nirav Modi and Mehul Choksi, who have fled the country after they came under the scanner of investigating agencies.